A survey of company secretaries reveals that fewer than a third back the prospect of more powers for the UK’s audit and governance regulator. Fewer than one-third of company secretaries want the UK’s corporate governance watchdog to have more enforcement powers, a survey has found. 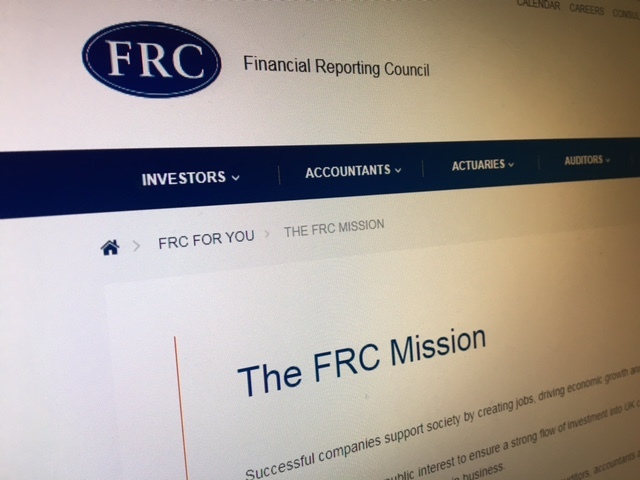 The poll, carried out by ICSA: The Governance Institute and recruitment specialist, The Core Partnership, found that 27% of those questioned believe a review underway by the government should give the Financial Reporting Council (FRC) more powers. Just over half, 57%, said they were opposed to more powers for the FRC, while a hefty 16% said they were “unsure”. The review of the FRC was prompted by concerns that arose about the market for large audit during a review of events contributing to the collapse of construction giant Carillion. The FRC, also the UK’s audit regulator, has faced criticism for its work monitoring auditors and their work. He added: “While some feel that audit firms should be limited to the number of large audits they can carry out, and that there should be more transparency about length of service in the annual report and AGM notices, others feel that the value of rotating firms is limited when there are few options in the market place that can cope with the size and geographical breadth of large and complex companies. Small shareholders propose user ownership at Twitter as a bulwark against the pressures of Wall Street.